There is no better place for an entrepreneur to find words of inspiration on starting a business than the quotable quotes of Walt Disney. Not only did Walt Disney start one of the most famous businesses in the world, but he also created an entirely new theme park niche in the entertainment industry and figured out how to use all of his entertainment creations to drive retail sales. Disney was one of the original retail disruptors. Walt Disney was also a business leader, a retail merchandising mogul, a pioneer in branding, and a customer relationship expert. Walt Disney was an inspiring entrepreneur of the highest order. Knowing the business philosophies of the founder of the Disney empire is not just a good idea for entrepreneurial success, it should be a fundamental requirement. 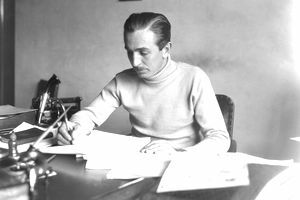 So what are the ideas about building a business, entrepreneurship, leadership, and innovation that drove and guided Walt Disney's creative spirit as he set the standards for entrepreneurship and customer service around the world? What follows are the quotable quotations that can be an inspiration for any entrepreneur, retail leader, or any business who wants to start, build, or elevate business to new heights. "Somehow I can't believe there are any heights that can't be scaled by a man who knows the secret of making dreams come true. This special secret, it seems to me, can be summarized in four C's. They are Curiosity, Confidence, Courage, and Constancy, and the greatest of these is Confidence. When you believe a thing, believe it all the way, implicitly and unquestionably." "When we consider a project, we really study it—not just the surface idea, but everything about it. And when we go into that new project, we believe in it all the way. We have confidence in our ability to do it right. And we work hard to do the best possible job."